an emerging tribe. Innovation keeps changing the vaping experience! resin drip tip will bring you increased airflow. 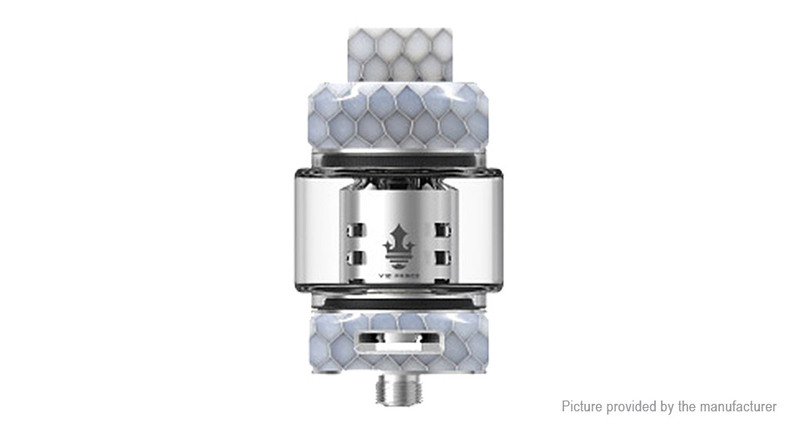 Prince tank, and can effectively enlarge the e-juice capacity. beautiful light emit from it when you are vaping. e-liquid slot can significantly solve leaking problem. 4ml / 0.3ohm / stainless steel + glass / 25mm dia.